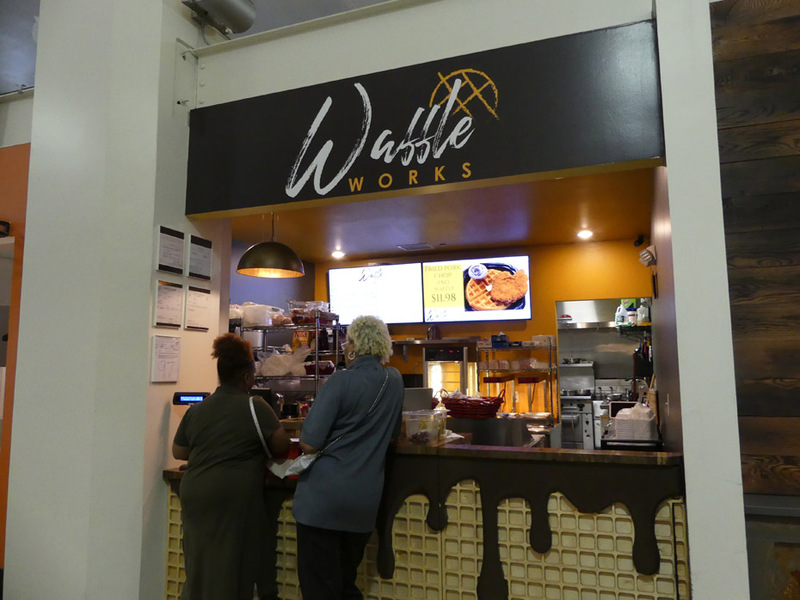 We're used to food courts in malls; those chain stores offering typical fast food. 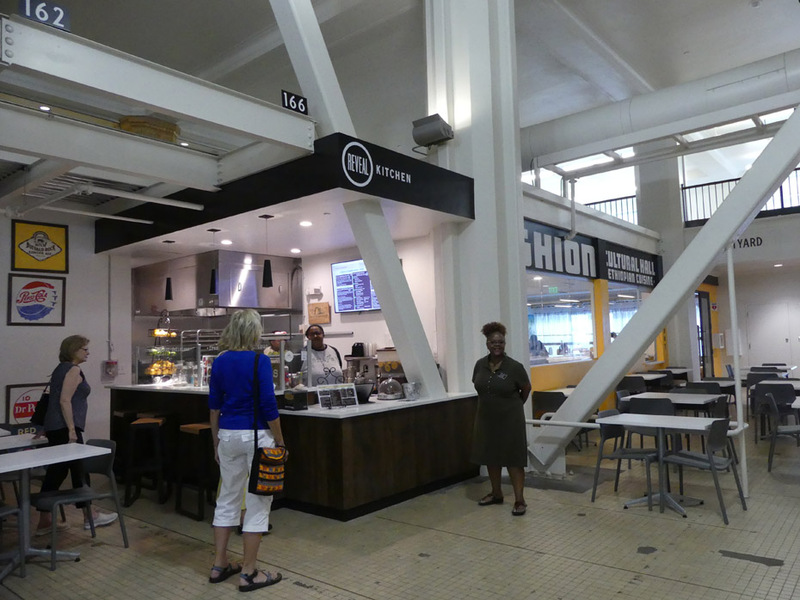 In the Pizitz Food Hall in Birmingham you'll find something different. These are independent or small local chain restaurants with food from around the world. Pizitz was a department store chain at the turn of the 19th century. It eventually sold out first to McRay's then to Belk's. However, the Pizitz Corporation retained ownership of many of the building. Today, the original Pizitz Store houses restaurants, small stalls, and Louis Bar that can mix up any cocktail you order. The restaurants range from southern to Ethiopian and just about everything in between. One of the nicest things is that with a group, each person can order from a different place and all settle in at the bar, any of the tables scattered around the hall or out in the plaza if the weather is nice. There is Ghion Cultural Hall serving traditional Ethiopian dining. You get a taste of Ethiopian culture on Friday or Saturday night with a traditional Ethiopian coffee ceremony on the open-air patio accompanied by Ethiopian music. Reveal Kitchen offers an incubator for the Magic City’s emerging chefs. When we visited Kimberly McNair Brock, a Birmingham native, was hosting her food stall, Bitty's Living Kitchen. She focuses on fresh foods, salads, and pressed juices and always offers fresh produce. Bitty's is the second tenant at Reveal Kitchen so she may have moved on when you visit. 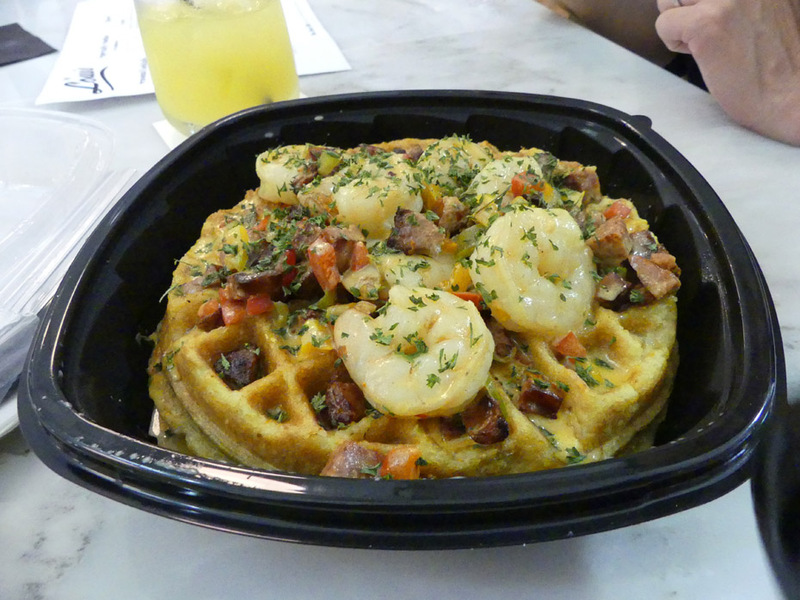 Waffles Works crosses southern food with Belgian. You'll find classic chicken and waffles along with off-beat options like pulled pork and waffles or shrimp and grits waffles. There are dozens more choices here as well as a theater in the same building. For parking there is an onsite garage that offers up to two hours free parking. Long ago in the days of my youth, Kress stores were the king of the five-and-dime stores. Before the coming of malls, Kress stores were the alpha and omega for the adolescent and teen girls. They bought junk jewelry and their first lipsticks at Kress. It was more than a store. Kress founder envisioned his stores as work of art. The Art Deco Kress in Florence was designed by Seymour Burrell and completed in 1915. 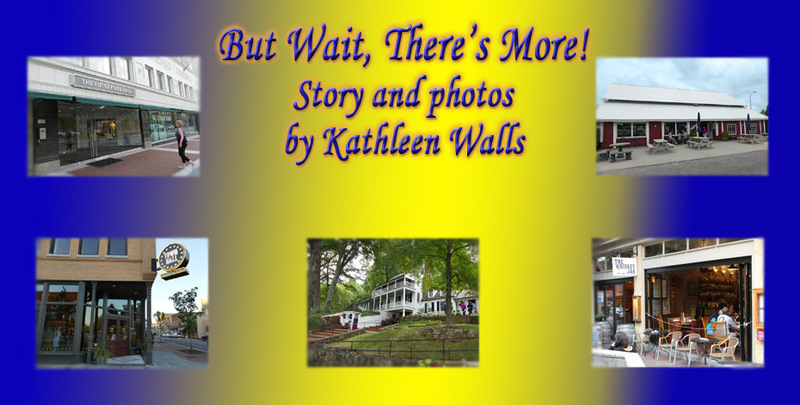 With the Civil Right movement and sit-ins plus the coming of malls in the '60, Kress and the other five-and-dime stores lost some of their luster. The Kress in Florence sat empty for many years after it shut down. When Florence began its downtown revival, Kress Corner was a natural for restoration that combined retail and apartments. The work began in 2014 and by 2016 its first occupants moved in. Town Hall was one of the first. When I visited everything was perfect. There is a wood fired grill in the open kitchen that creates a perfect atmosphere as well as wonderful food. Best of all, it has retained much of its antique character. 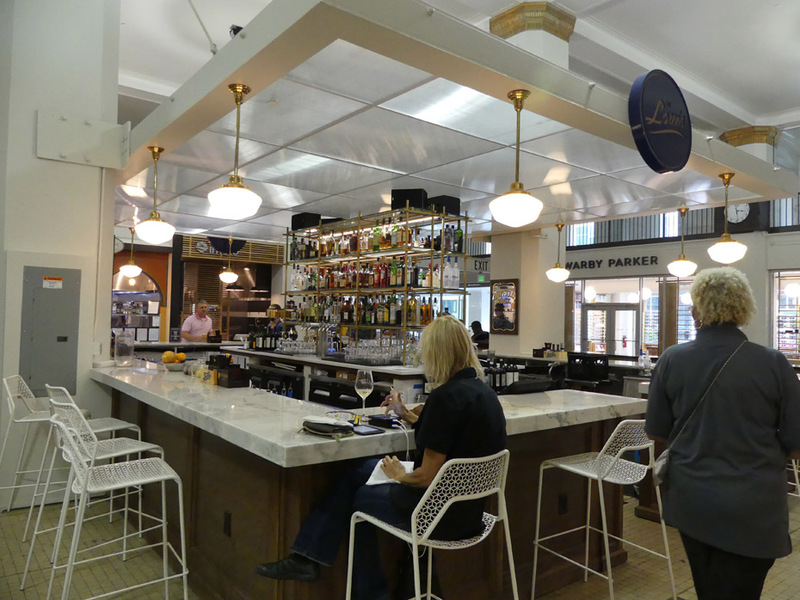 Wood from the Kress counters and other parts of the original building has been repurposed to create the bar and millwork in Town Hall. 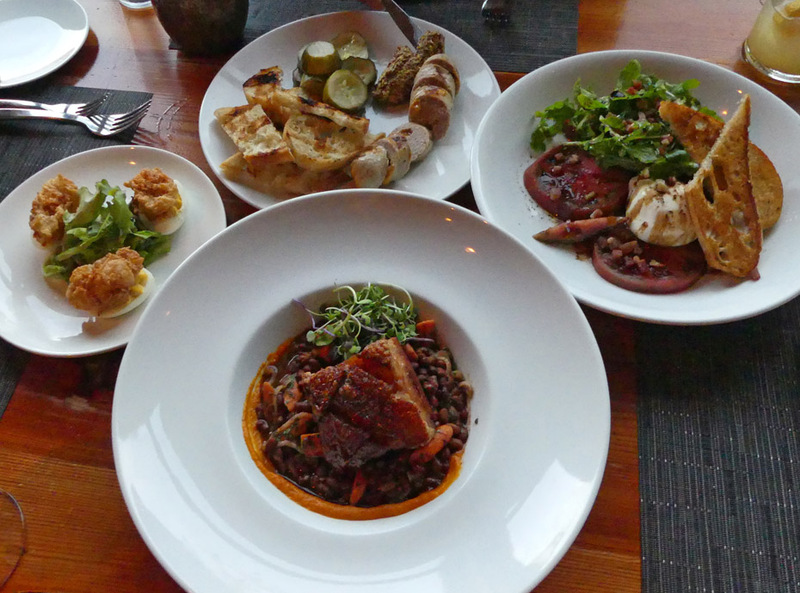 Executive Chef Bobby Hodge loves his Southern food; he also loves fresh local produce. Thus the menu changes like the weather. Unlike the weather, it is always good. Our waitress, Jenny, brought us a amazing array of appetizers before we even settled into the main course. 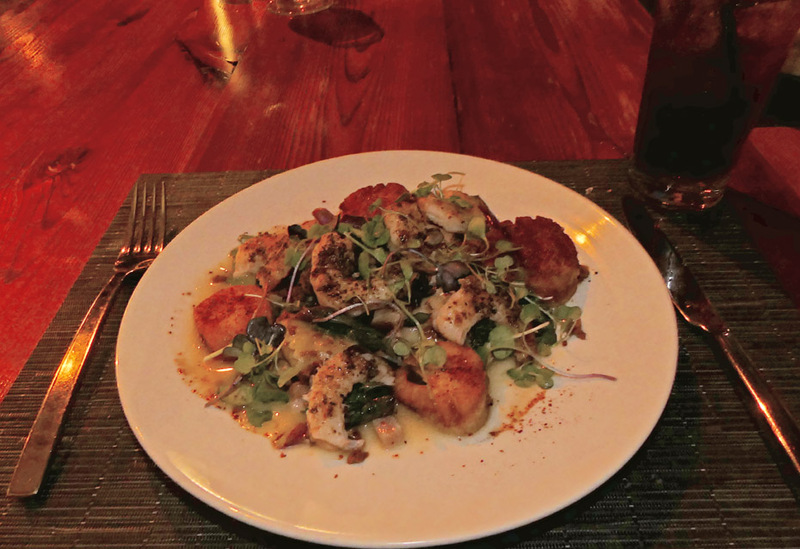 I had a shrimp and scallop dish that was any seafood lover's dream. They have a full service bar too. Terrell Ham, the manager, gave us some background on the restaurant. Town Hall opened in June of 2016. It is owned by the Charleston-based Indigo Road restaurant group. 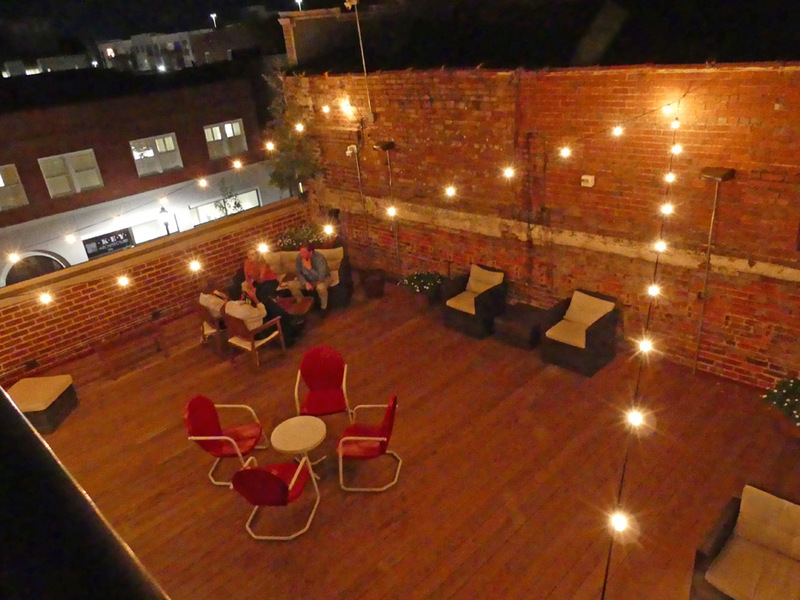 After hearty dinner wend your way up to the rooftop where you find The Dispensary. 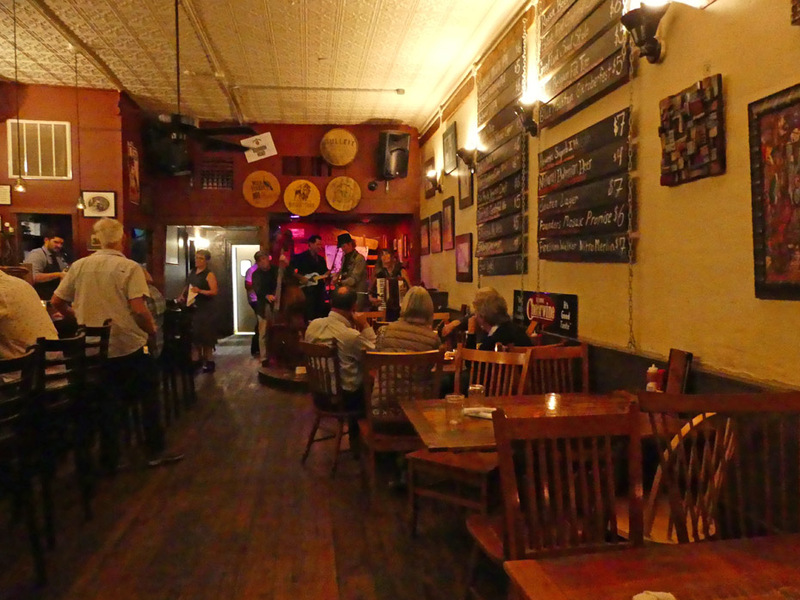 The Dispensary offers live music from local artists. You've got a great view of the city from here. I've been told Local Motive Brewery recently opened in Kress Corner. I'll check it out next time I'm in Florence. 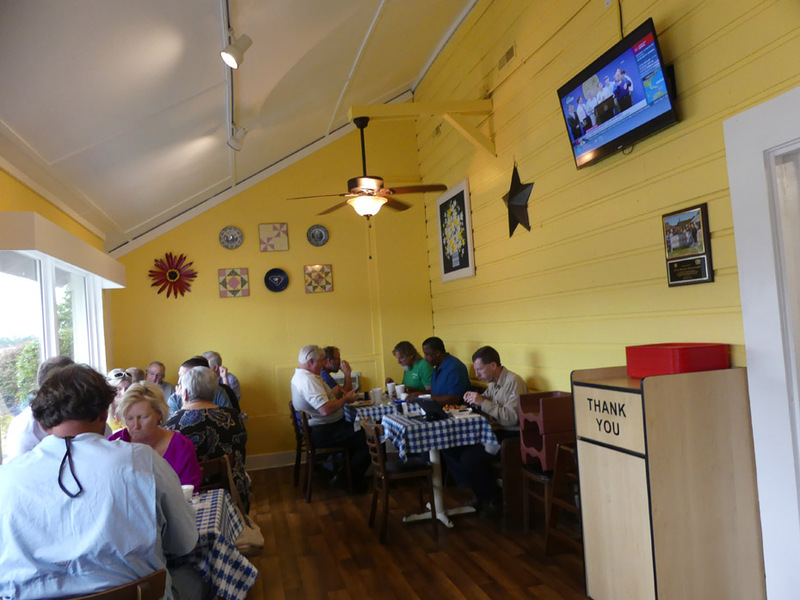 Just by its name, you might guess Julia Belle's specialty is home-style southern cooking. The owner, Fran Thompson Snell, told us she named her restaurant in honor of her great grandmother, Julia Belle Young Sinclair, who loved to feed her family good southern food. Julia Belle's is located in a big red barn at Pee Dee State Farmers Market. After you feast on Fran's special Fried Chicken, Country Pot Roast, or that perennial favorite, Blue Plate Special, where you choose one meat and two sides served with a homemade buttermilk biscuit, you can walk all those calories off buying fresh produce, honey, wine, or even plants at the farmer's market. 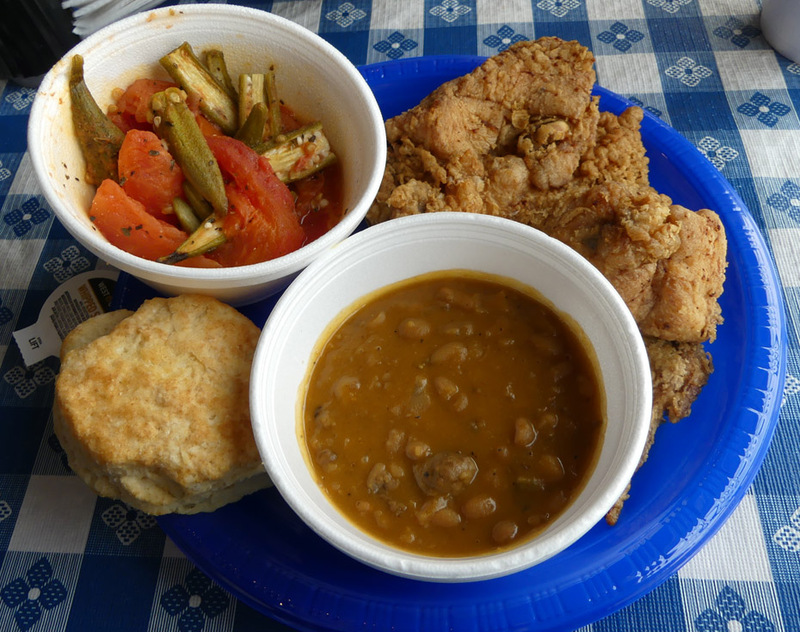 I chose the Blue Plate Special with fried chicken, okra and tomatoes, and baked beans. Since they are so close to the beach, seafood is plentiful. You'll find dishes like Low Country Boil, Crabcakes, and Shrimp and Grits. 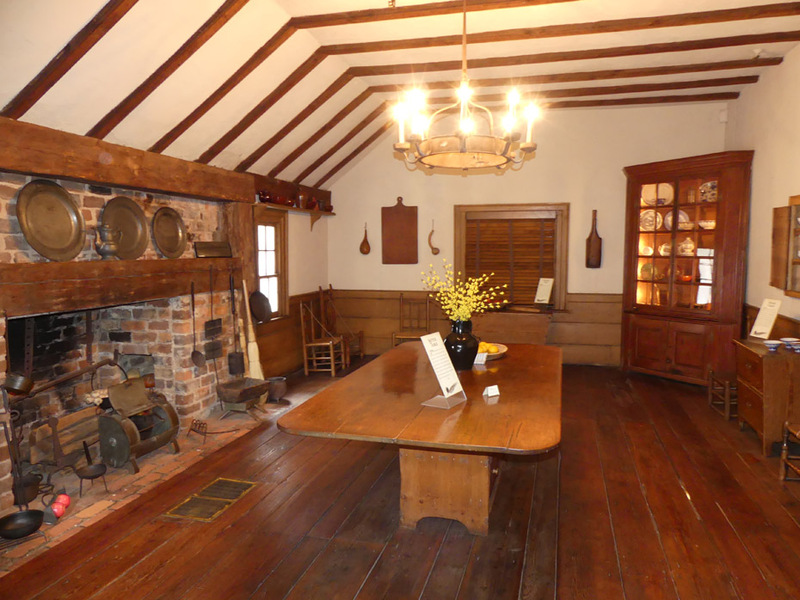 Michie Tavern was established in 1784 by Scotsman William Michie. 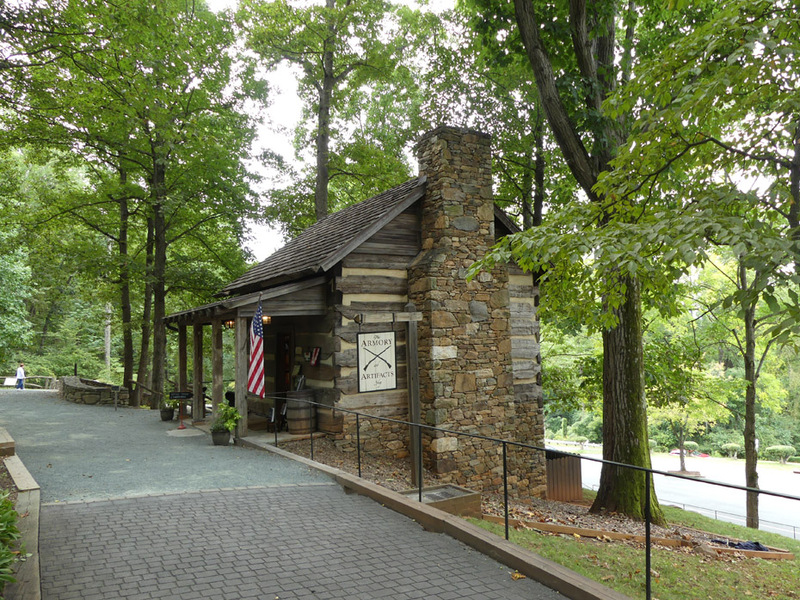 In 1927, the Tavern was moved 17 miles to its present location, about a half mile below Monticello. 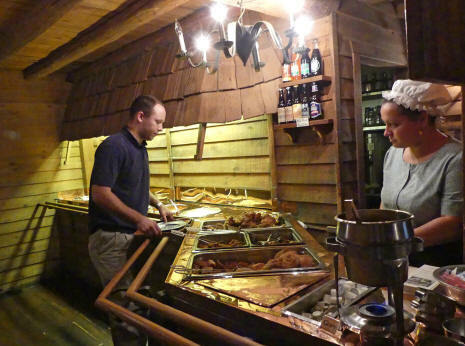 Part of the Tavern's complex is The Ordinary, a typical tavern restaurant of its day. 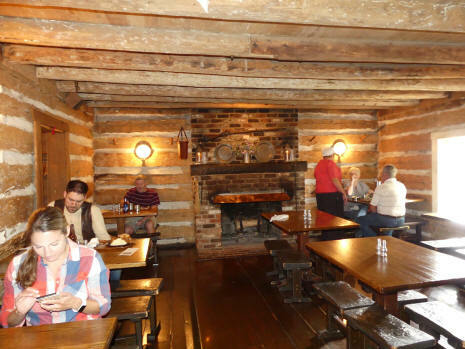 They serve a lunch buffet of southern fried chicken, marinated baked chicken, hickory-smoked pork barbecue, stewed tomatoes, black-eyed peas, buttermilk biscuits and other typical 18th century food. You'll be served by staff in period costume. Our hostess, Cindy, told us it got its name because travelers would say "We're going from one ordinary place to another." 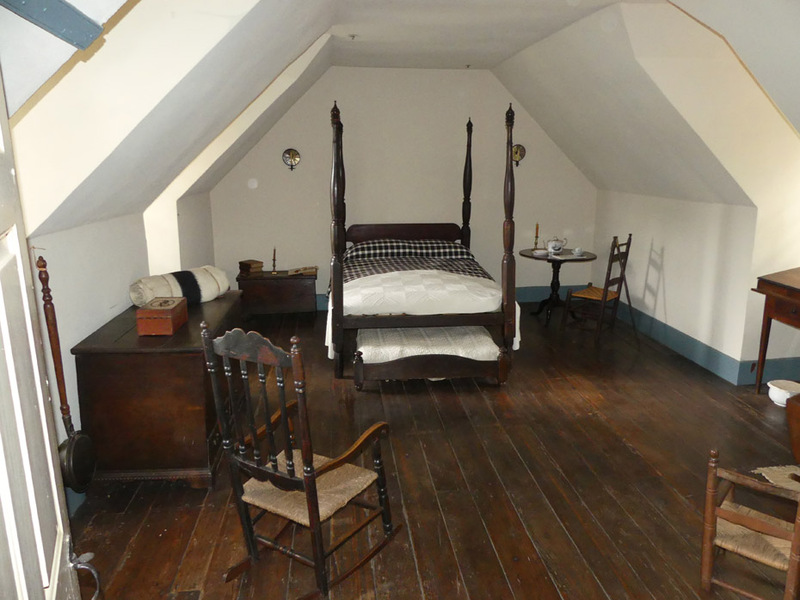 After dining, you can tour the main inn and learn how 18th-century travelers lived. There's a big central hall where travelers gathered to talk and smoke. Ladies would have enjoyed the dance hall. One downside was that only affluent travelers had their own rooms. It was common then for strangers to share not only a room but even a bed. On the grounds, you can visit shops typical of the era and housed in historic buildings. 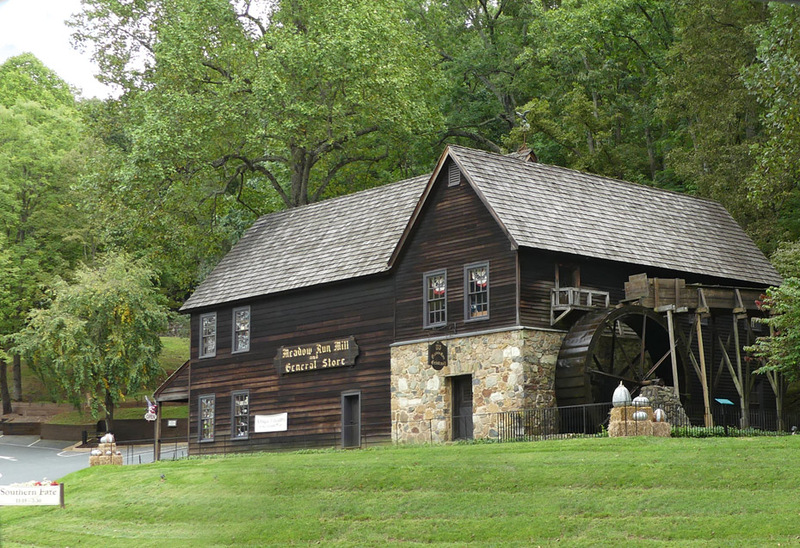 The Tavern Gift Shop, The Metal Smith Shop, The Armory and Artifacts Shop and The General Store housed in a gristmill. Being a history buff, the gristmill was my favorite. There is a tobacco barn and several other buildings that were part of everyday life in the 18th century. How many other restaurants can take you back three centuries? Pedestrian malls are a refreshing change from the crowded streets of a downtown area and the closed in feel of typical malls. It's a step back to a quieter time with all the modern conveniences tossed in. 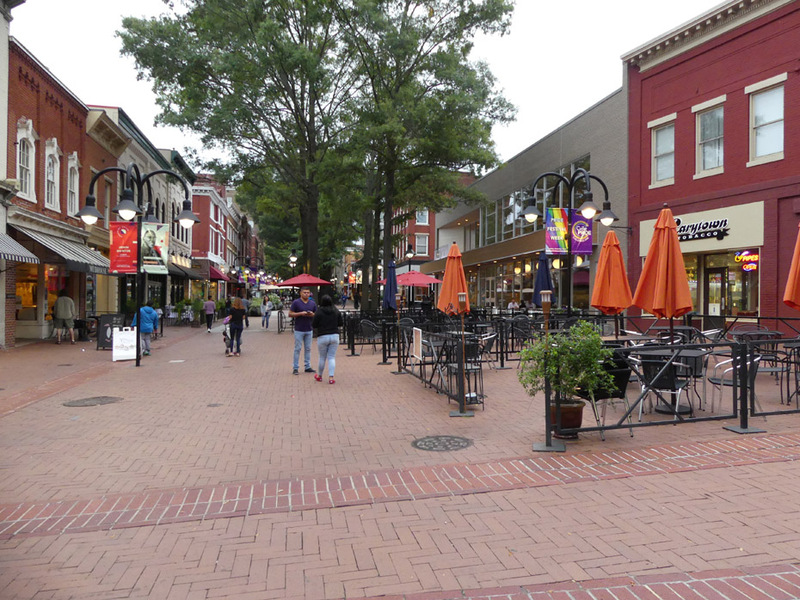 Here in Charlottesville they call their mall Historic Downtown Mall because they say "There's nothing pedestrian about it." It's eight blocks long making it one of the longest pedestrian malls in the country. A stroll down its red-brick road leads to restaurants, art galleries and plenty of public art and gardens, monuments, live theater in the historic restored Paramount Theater, boutique shops and more. You'll find families with kids and pooch in tow dining at outside patio tables from one of the multitude of restaurants of every kind. We dined at Whiskey Jar. 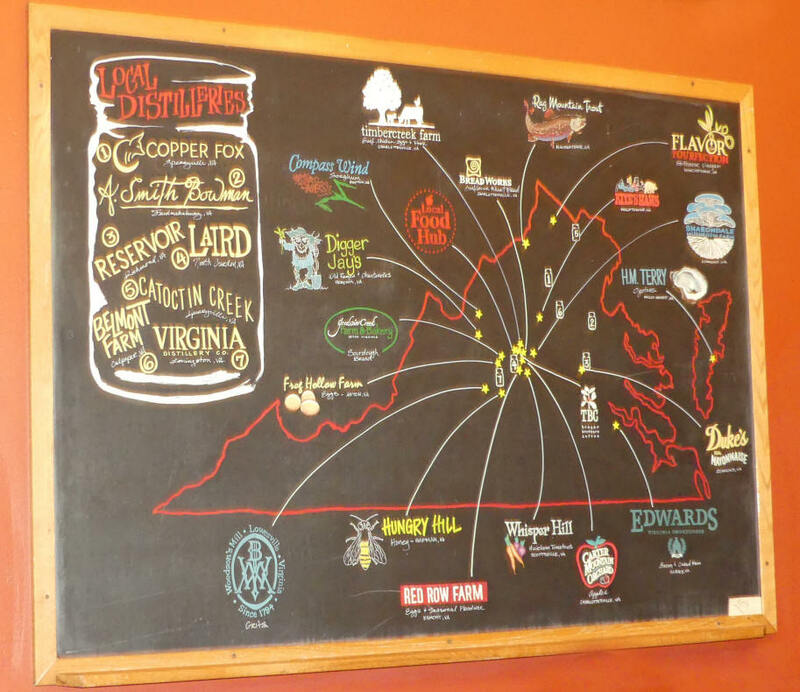 Whiskey Jar prides itself on local products from their beer and whiskey to the locally produced chicken and produce. Owner/Chef Will Richey is so committed to the concept he bought his own farm. There's even a blackboard telling where all of their food and whiskeys come from. Will Curley, the hospitality manager, gave us tips on the best choices. His favorites are chicken with collards and any of the barbeque choices. 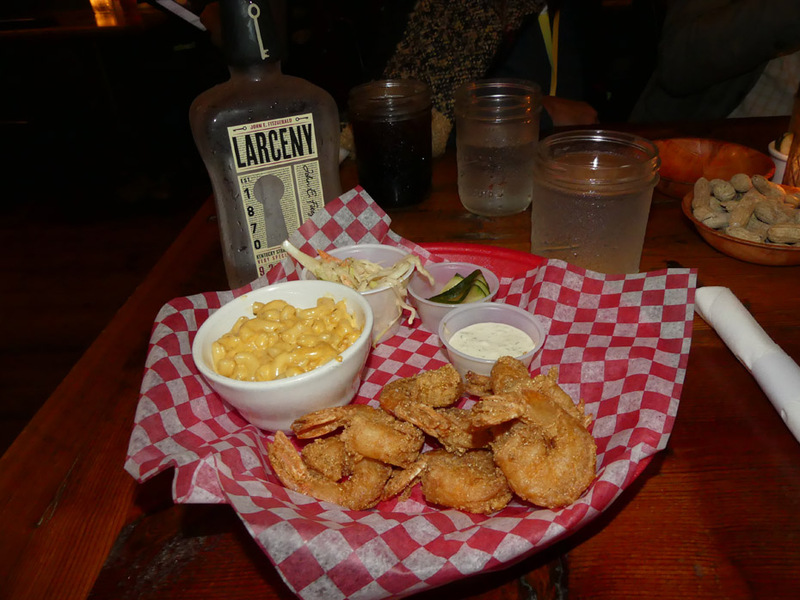 I couldn't resist the fried shrimp with mac and cheese and slaw. For an appetizer, try the Fried Oysters. Do not skip dessert.Their Dark Chocolate Brownie with Bourbon Vanilla Ice Cream is very tasty. It's a down-home style place. Usually you will find a band playing. The night we visited the band was Red and the Romantics, their regular Monday night band for years. It fits the easy going all embracing culture of Charlottesville.